RTB will not kill all the advertising sales people, just change their job. 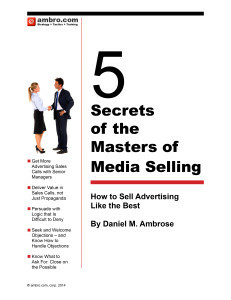 The old role of advertising sales people, to provide the price to the buyer, will be ceded to the RTB media exchange. Sales people will, instead deliver value with understanding of the market and how it is changing, and help their clients by showing them how to configure packages of media for the best results much like a former stock broker, now called a financial planner, makes recommendations for investments but no longer sets or communicates the price.